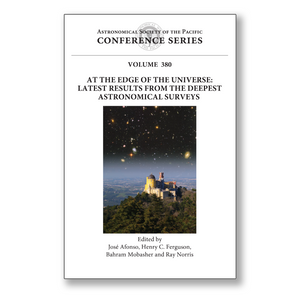 This volume contains the proceedings of an international conference held in October 2006 in Sintra, Portugal, on the recent results from the deepest astronomical observations of the Universe. Focused on the latest observational developments in galaxy and structure formation and evolution, as given by the use of the most powerful telescopes working throughout the electromagnetic spectrum, the conference assembled some of the most active researchers in the field. The ninety-eight contributions included in this volume represent the state-of-the-art of research covering such topics as: the first billion years of galaxy formation, probing the reionization epoch, obscured galaxy populations and their role in galaxy evolution, early AGN activity, the star formation and mass assembly history of the Universe, massive galaxies at high-redshift and the metallicity history of galaxies. A particular emphasis is given to the unification of the different views given by observations at different wavelengths, making the books a valuable reference for researchers and graduate students interested in the exploration of the distant universe.